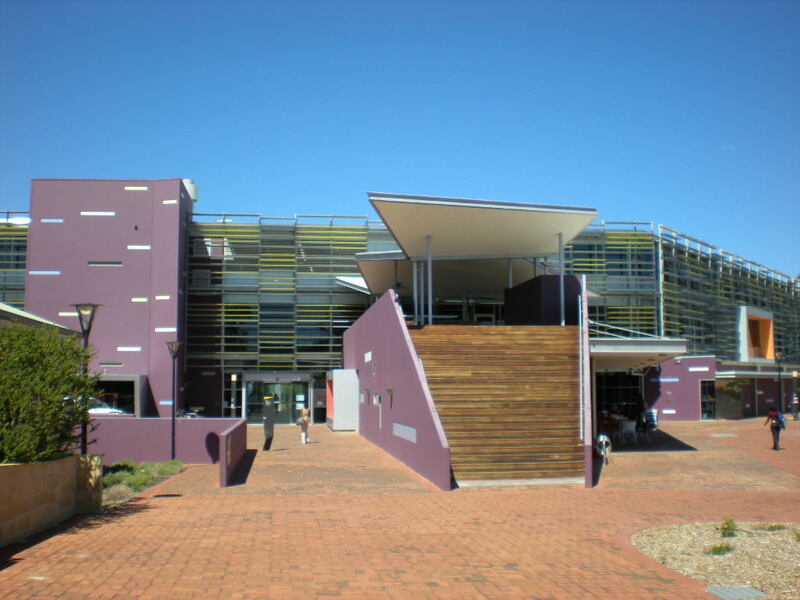 Edith Cowan University (ECU) has 2 campuses in Perth, Mount Lawley and Joondalup as well as a regional campus located in Bunbury, south of Perth. According to our 2018 University rankings, ECU ranks #5. We have a range of Edith Cowan University reviews across different undergraduate and postgraduate courses as well as different topics, including Arts, Engineering, IT, Commerce, Science and Health. If there's an industry trip or networking night, make sure you go, ask questions and get peoples contact details. Negatives: The negatives are that you can only do it in Perth on campus. There is no course flexibility for those with full time jobs or those who wish to complete the course and live interstate or overseas, because their job has taken them there. Positives: The course provides opportunity to work in multiple states in Australia, and internationally. Most of the lectures and tutors have on road experience in the Paramedic field both in Australia and Internationally, meaning that everything we are taught is related to real experience, and the level of detail when teaching Clinical skills is at a high standard. Exposure is easy gained with different options and places for practicals to be completed. Negatives: It's quite costly up front, you need to pay for multiple immunisations and clearances within a small time frame. The uniform is also expensive. It's a very sort after course so the classes are big and means that certain skills don't get the one-on-one time that you always want. It is a lot of information to take in, in such a smell time so a lot of time needs to be put into it, which is hard when people work. My advice to future students is: Make sure you have some money saved to pay for the upfront costs of immunisations and clearances, as they can't be hexed, and need to be done in the first couple of weeks. You have to be able to adapt to a fast paced environment and are exposed to lots of confronting things, so its not for someone who is light hearted. Don't fall behind in classes, because if you fail one, your whole degree will be set back by a year. Positives: I need to stand out in a competitive market. Community service, volunteering, mentoring, membership in club or society, leadership positions (secretary, treasurer, president etc.) are all viewed very favourably by employers. I will take every opportunity to attend any CPA or Chartered Accountants (Australia and New Zealand) event – meet with employers, learn to sell myself and find out about potential career paths. Try to have a goal or vision of what I would like to be doing in five years’ time. Review frequently the CPA or Chartered Accountants (Australia and New Zealand) home pages for events or information regarding the accounting profession. I have to talk to as many employers and practicing accountants as I can. Sometimes I still need to look for opportunities and not wait for things to last minutes to happen. Continue to be positive! My advice to future students is: Try to have a goal or vision of what you would like to be doing in five years’ time. Talk to as many employers and practicing accountants as you can. Sometimes you need to look for opportunities and not wait for things to happen. Continue to be positive! My advice to future students: time management is key. i found as long as i was prepared everything became so much easier. Positives: It's a small course (only accepts 25 people a year), so it's a very tight-knit and supportive environment. It's also very well structured, providing a broad practical knowledge of business skills and the arts industry (it's arts management) with lecturers who are active in the industry. It also provides many networking opportunities and features multiple parc work elements. Negatives: The small number of people doing it occasionally gives it a little bit of a claustrophobic feel, there is too much unpaid work done for the uni in the first year, and networking with students in other courses is also difficult (not sure if this is really the uni's issue though). My advice to future students: It's a very niche course, so be sure what you're getting into, otherwise just do it, I highly recommend it! Positives: - Small field and cohort; build relationships with people. - practical and fascinating course, every changing so you do not get bored, lots of hands on experience. Negatives: - some units were changing therefore some teaching methods failed. Competitive field. My advice to future students: NETWORK! give it your all and be ready to make mistakes but be sure that you have support there if you ask for it. Lots to learn. The course I am taking is master of engineering major in civil. The best aspect of this course is that it will give us vast knowledge in engineering products and markets there by helping us move forward in our career. However, as the course is general, it touches all the engineering subjects in brief only. We cannot specialise in a particular field. Thus, if one is looking to become an expert in one specific area then this course is not the best option. My advice to future students is: Only advice I would like to give the new prospective student is ECU is best if you are opting to study business or any undergraduate course as there are many options to choose. But if you are a master of engineering student and looking to specialise I one particular area then you got to think wise. Nevertheless, ECU has perfect student support systems as well as teaching faculties.